There are different kinds of risks that may occur whenever a car purchase takes place. This is the reason why car selling contracts are important to be developed. 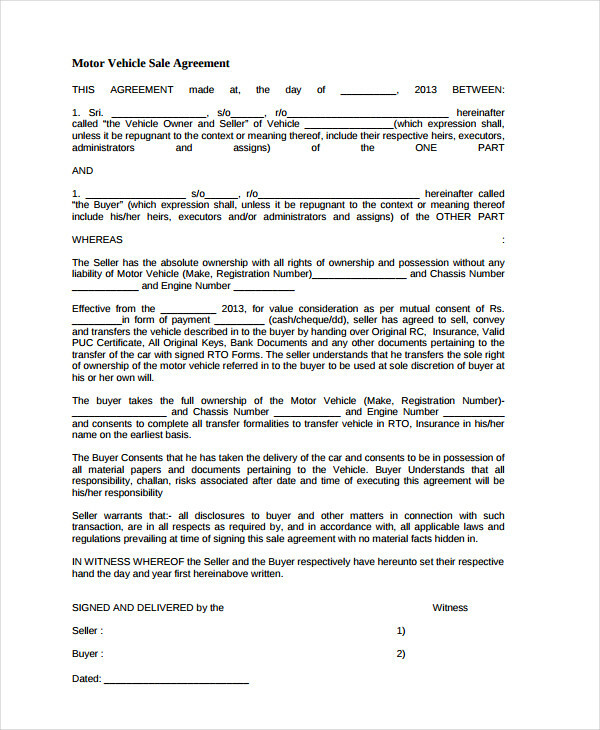 Aside from presenting the transaction to the clients or the buyers, a car selling contract can also help protect the rights of the car seller. Just like when making Hiring Contract a or a Lease Contract, having references when making a car selling contract can help a lot. 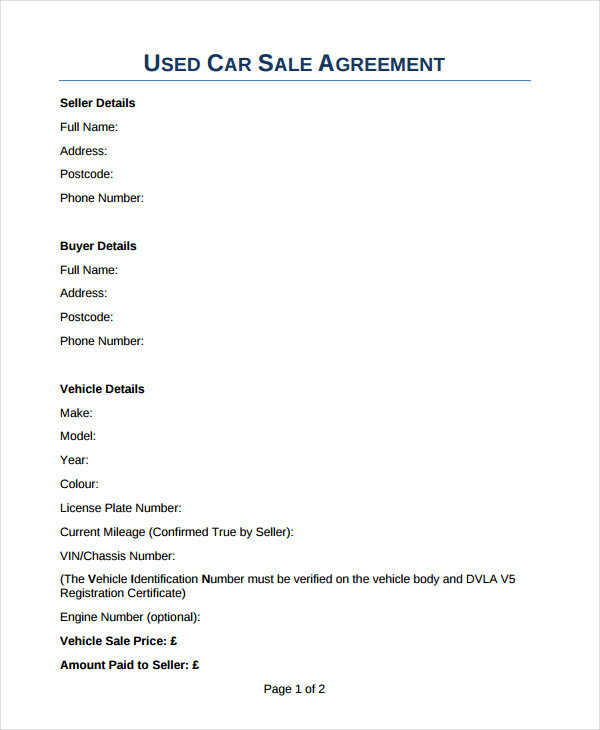 We have put together a number of car selling contract examples that you can use as content and formatting guides when making your own car selling contract. 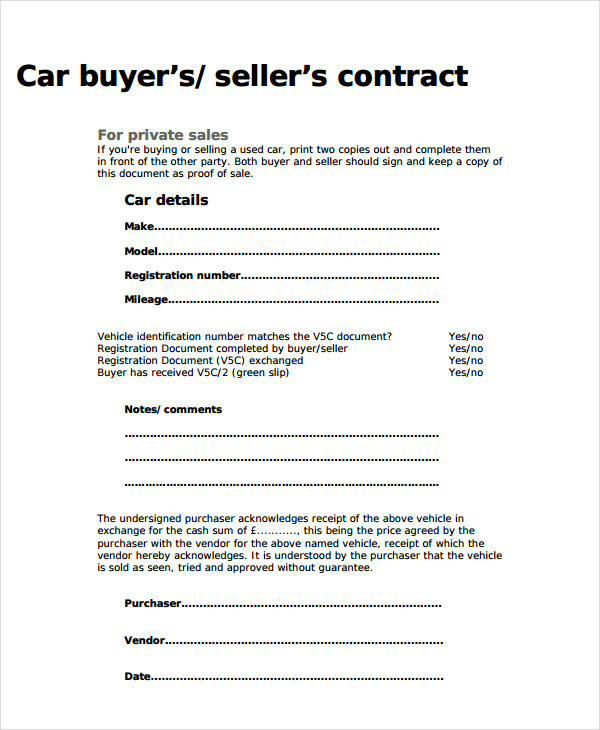 Browse through them so you can easily develop the contract that you need if you decide to sell a car. 1.Properly identify both the seller and the buyer of the car. Just like in a Maintenance Contract, a Payment Contract or any other kinds of business contract; the identification of all the parties involved in the transaction or agreement should be highly considered. 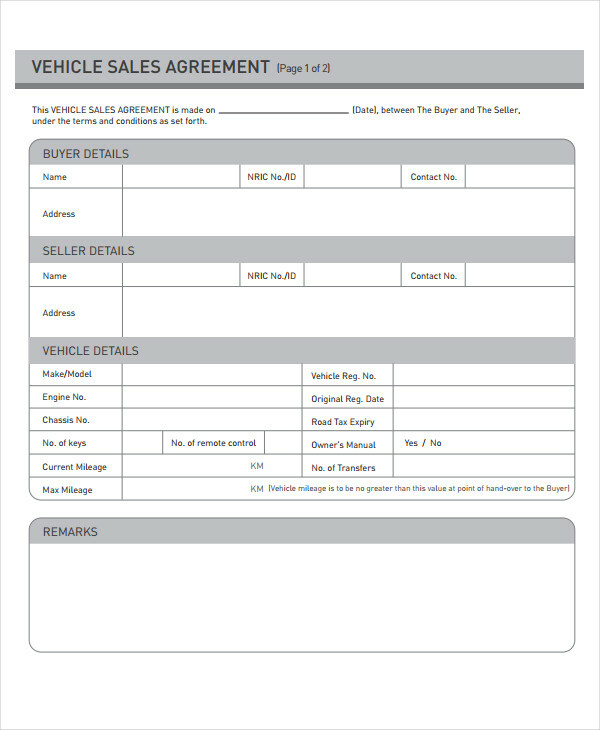 Specify the conditions and terms of the car sale in an understandable manner. This can lessen the possibility of misunderstandings to occur. Have a list of the details of the car which will be sold as well as the current condition of the car. It is essential for the buyer to be aware of the overall specifications of the car that he or she will buy so that proper expectations especially when it comes to car maintenance can be established. 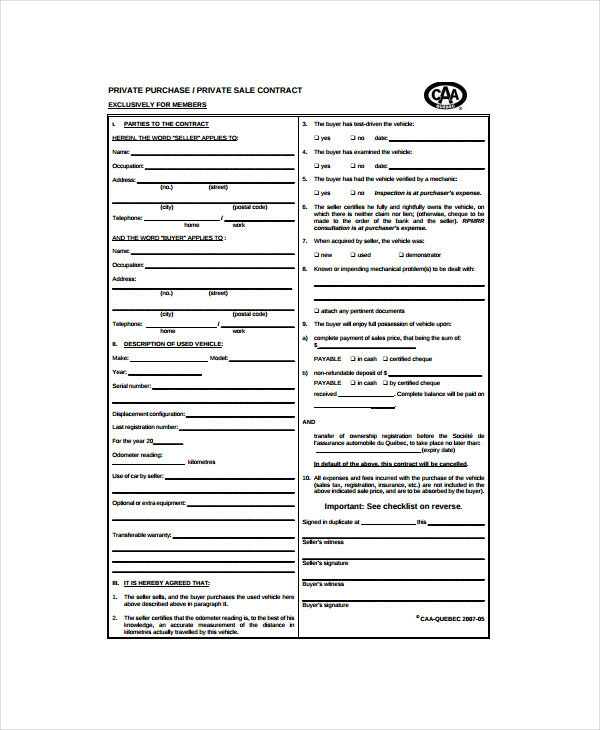 You may also see employment contract examples. You have to be guided by the basic tips and guidelines in car selling contract development. 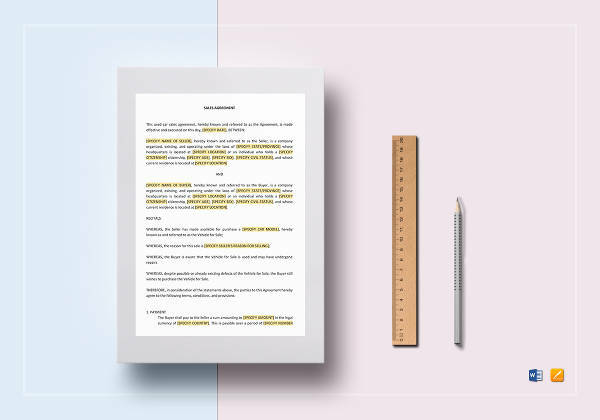 Being knowledgeable of the steps that you need to take and the factors or elements that you need to consider can positively affect the document that you will come up with. 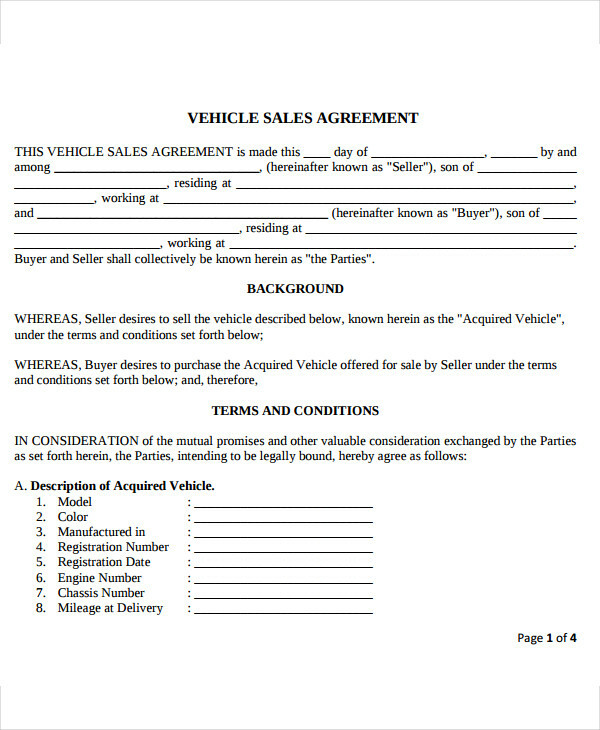 Here are some useful tips that you can incorporate in the creation of your own car selling contract: You may also see child care contract examples. 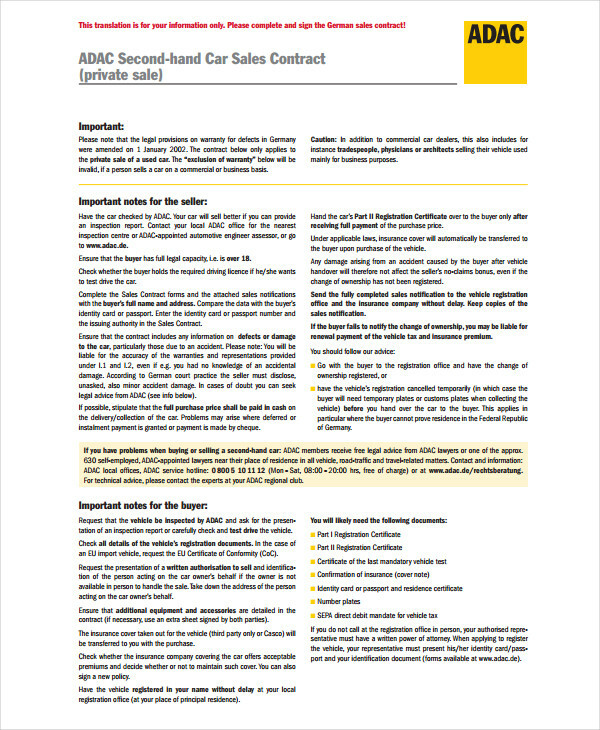 Be keen with the specification of the purchase price and other major information that are essential to be known by the seller and the buyer. Ensure that the contract will include a discussion or a statement with regards the reason why the car is being sold. Make sure that you will review the entirety of the contract first before sending it to your client. This is also applicable when making a Service Contract or a Transportation Contract. Fully maximize the benefits of using our downloadable examples. 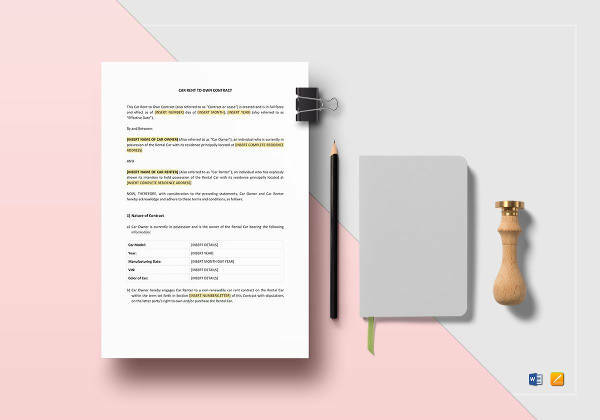 Refer to these examples if you need to have more idea with what you should include in your contract or if you need guides in terms of formatting the information within the car selling contract that you are making. 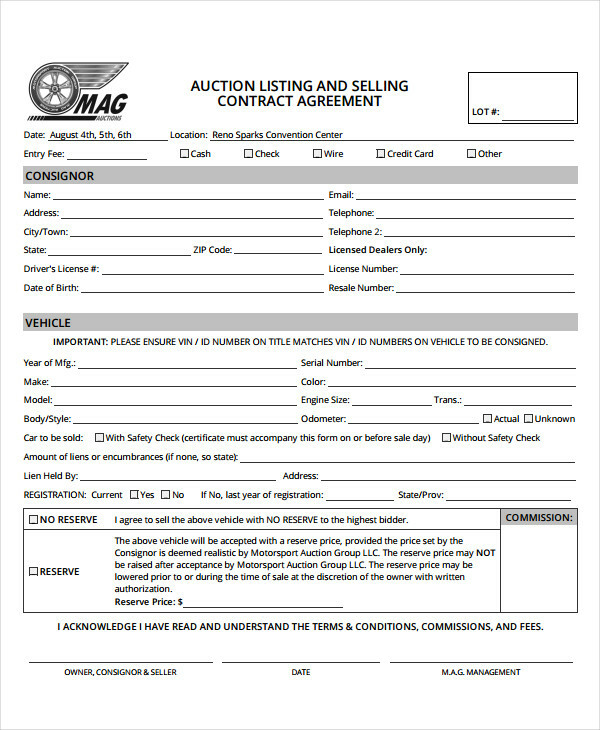 With all the references and tips that you already have at hand, try to create your own car selling contract now. You may also see sports coach contract examples .